You have not because you ask not. It’s true. Thinking so little of yourself, and often so little of Me and My intentions toward you, you don’t ask for the better thing I have for you. I see you. I know you. Truly I say to you, ask and you shall receive. Although it’s cool, I don’t want to just say I’ve had a visitation from the Lord. I want to be a place of habitation for the Lord. The upgrade from visitation is habitation. That’s not something that just instantly happens. Yes, it instantly happens with salvation, but once you’re saved, then you have to conform your life to being saved. There’s the battle. Do you recognize it? Some of us are willing to fight for more Jesus: more of His blessings, favor and more of His presence. Some of us are not. Some of us are willing to fight sometimes. Others are willing to fight during a certain season, and because of that, there are varying degrees of the Kingdom in our lives. The Bible calls that 30, 60 and 100-fold Christianity. No matter where you are, there is a huge upgrade available to you. 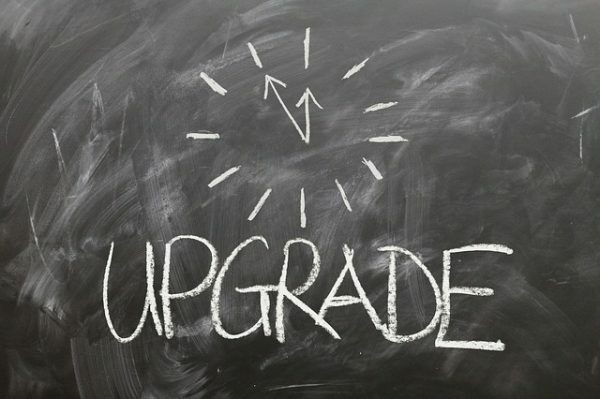 I’d been traveling the world for about 20 years and didn’t realize I had about 800 upgrades available because I’d never asked. Oh, the brother asks now – every time. It’s the same with the Kingdom of God. How many unclaimed upgrades do you and I have out there? Moves of the Spirit that are right in front of us and we don’t have a clue because we’re living toward something different instead of living toward the thing God Almighty has for us. Do you want to find your upgrade in the prophetic, in ministry, family, business, your marriage, your finances or your relationship with King Jesus? Things outside of your experience and your history? Things it’d take years for you to discover? Call out to God and He’ll just show it to you. Claim your upgrade. After all, it’s the Father’s good pleasure to give you the Kingdom.